I say that, but until last month, I hadn't been to the beach in WAY too long (like YEARS)... which is silly since we live to close to the beautiful Gulf of Mexico. Anyway, Steve had to go down to SanDestin, Florida to speak at a conference, so we decided to make a mini-trip out of it and take a friend for Maggie (since Abby was at camp). We stayed in Sandestin for 1 night and then headed to Mexico Beach, Florida (about an hour away) for a few more days. We even ran into some sweet friends from home! One thing I had plenty of time for was painting and I'm so glad I took my travel paint bag with me. 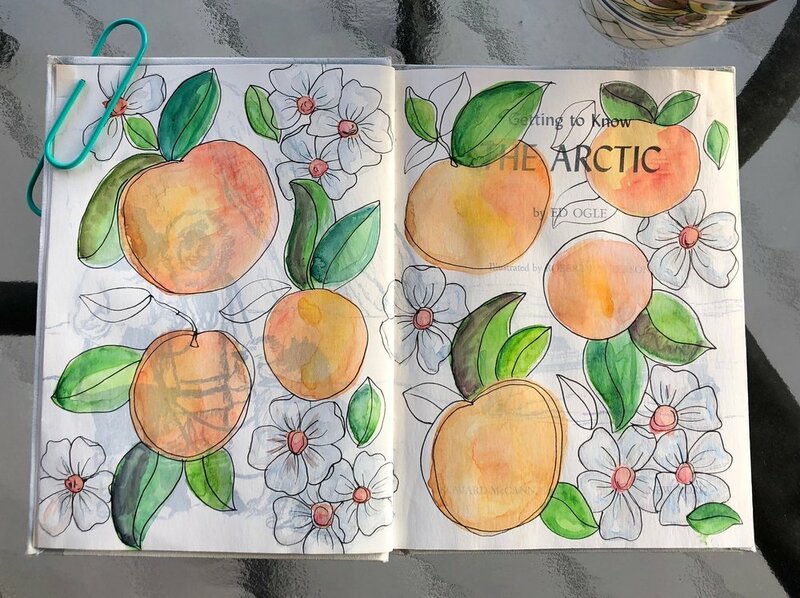 I usually carry a water brush and a few extra small brushes, watercolor pencils, my travel watercolor pallet, and some pens in my bag and it worked out perfectly! 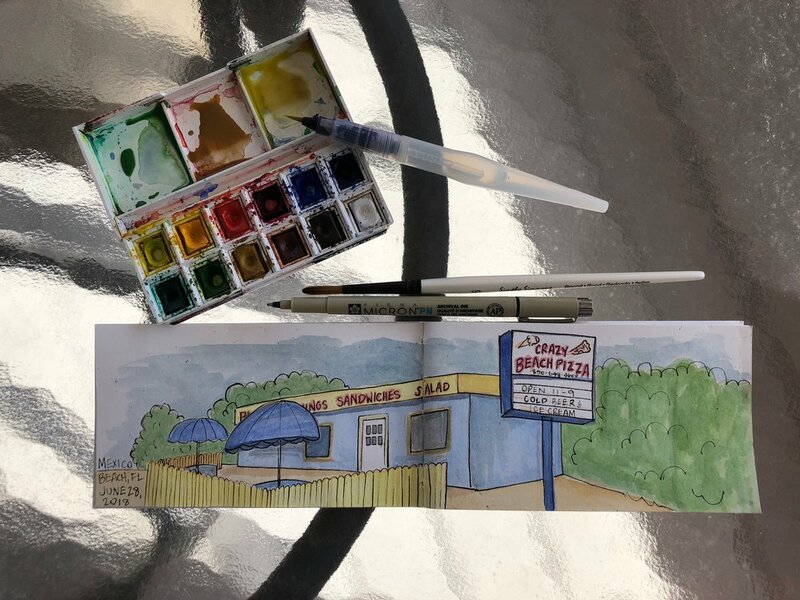 I'm an early-riser and I would go outside on the screened porch in the morning to start my daily painting and then I'd pack it up in my bag to paint on the beach too. When can I go back? Who wants to go with me? Let's rent a house and go spend a long weekend eating seafood and sitting on the beach painting!